Friday April 12, 2019-Detectives investigating the gory murder of Moi University student, Ivy Wangechi, have said they have established that her killer was in a confused state of mind when she butchered her. 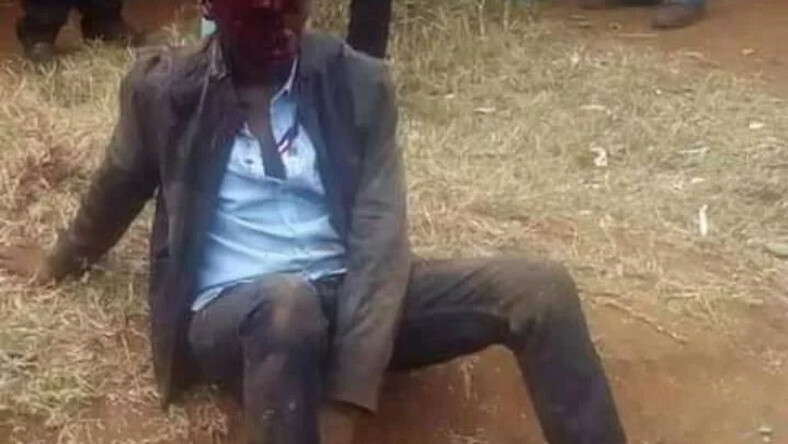 Naftali Kinuthia, who is recuperating at Moi Teaching and Referral Hospital, was mauled by the public after he hacked Ivy to death using an axe. One detective who requested a condition of anonymity said Kinuthia was under some hard drugs when he killed the sixth year medical student who is alleged to be his ex-lover. Described as shell-shocked, the suspect is reportedly trying to come to terms with the gruesome murder. “Detectives also confiscated some drugs found in his [Kinuthia’s] car for testing to ascertain what they were and whether he had taken them before attacking Wangechi,”said the officer. One detective said the drugs looks like a highly addictive pills that enables one to kill without hesitation or remorse, and resist brutal interrogation.